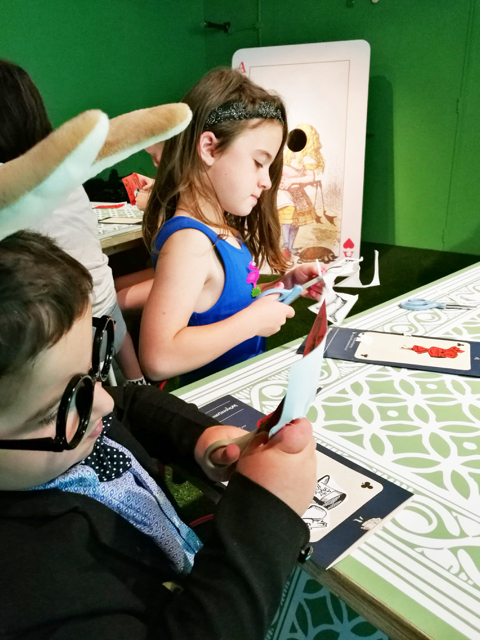 Kel and the gang over at Melbourne Minor recently attended the media preview of Wonderland - the latest exhibition based on the story of Alice in Wonderland currently on at ACMI in Fed Square. Primary school children and older will appreciate this exhibition. Read up on Kel's great review and pics below. Thanks Kel xo Catherine. Anyone familiar with ACMI exhibitions will know there is already a ‘rabbit hole’ feel about walking down those stairs and not knowing what you will discover in the underground exhibition space but Wonderland takes this to a whole new level! Wonderland explores the story of Alice in Wonderland through its many screen appearances over the years. The exhibition uses illustrations, costumes, props, posters, movie footage and projections to bring to life the story. Visitors receive a map to guide them around the exhibition that also interacts with the exhibition at scanning points. There are so many twists and turns and little surprises the whole thing felt like a treasure hunt! 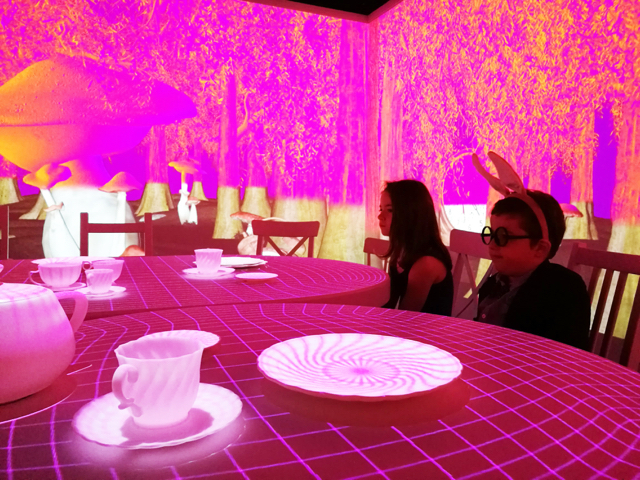 The famous Mad Hatter’s Tea Party has been reimagined with the help of state of the art projections in a three minute show not to be missed. A white room is transformed again and again in a dreamlike sequence and is like no tea party you’ve been to before. A favourite of all the kids that attended today was the croquet room where you design your own card and then scan it onto the wall with your face. These card people then skip around painting the roses red! Wonderland is going to captivate people of all ages and is a terribly curious way to spend your time. Tickets are on sale now and it’s recommended to book in advance as limited tickets are sold for each session. 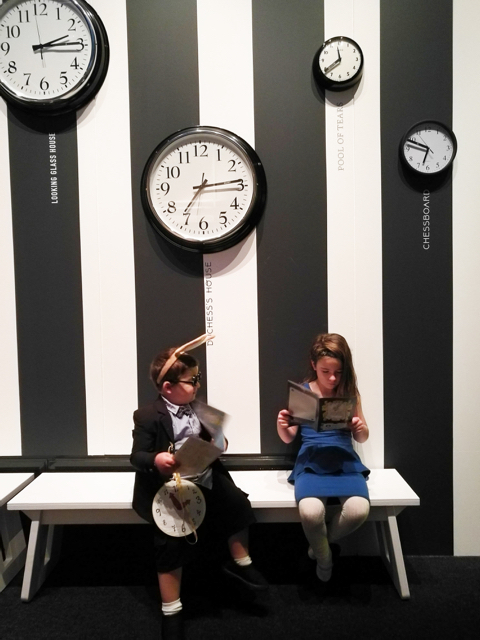 For more information about Wonderland at the ACMI, head to their website. Wonderland is on from Thursday 5th April to Sunday 7th October 2018. Watch Disney's 1951 animated adaptation of Lewis Carroll's classic 'Alice' stories while you're there. ACMI is located in Federation Square and is fully accessible. Tram and train service Fed Square and there is also ample paid parking. Full $25, Members $20, Concession $21, Child $16 and family $65.